Hey friends! 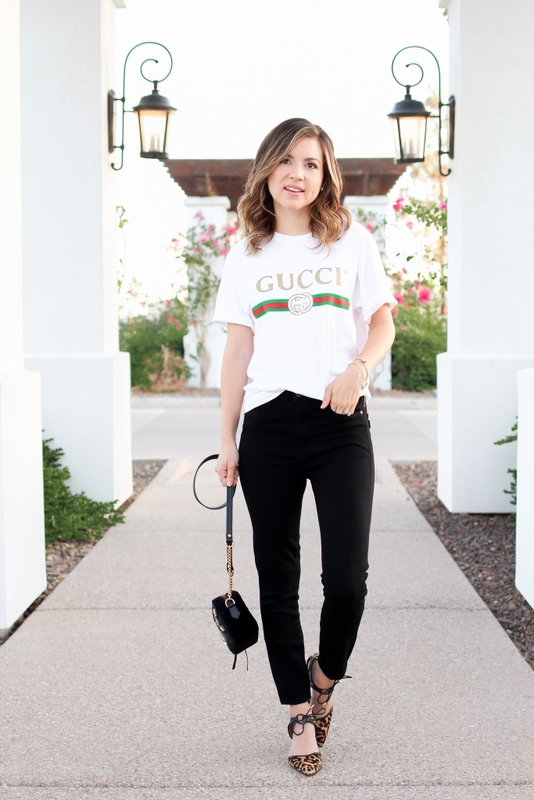 If you are a tee girl like me you are going to love today’s post on how to style an oversized tee! I got this oversized tee about a month or so ago and since then I seem to be grabbing every second I get. 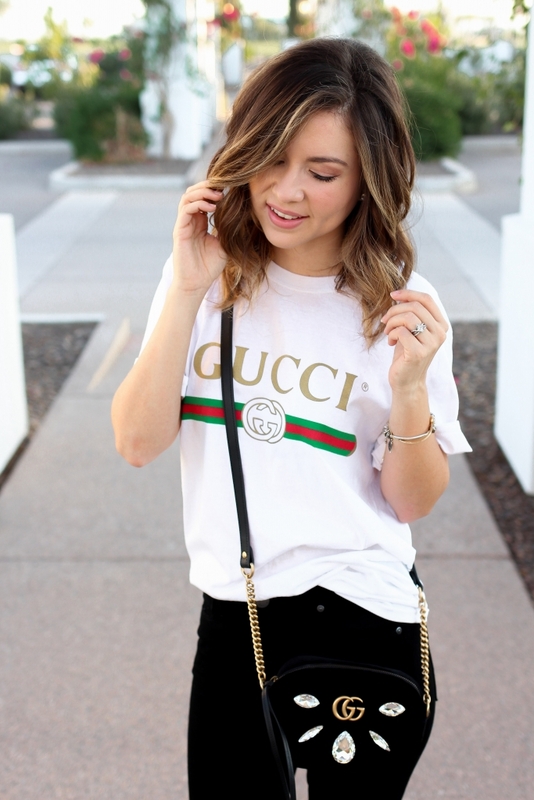 Who ever said oversized t-shirts were just for pajamas was so wrong! I love them! Especially this one i’m wearing it in a size small for a looser fit. I also really like fitted tee’s but sometime you just need a little bit of wiggle room! OOH before I forget I linked a VERY reasonable price tee above for you all as well! I would for sure take a look!! 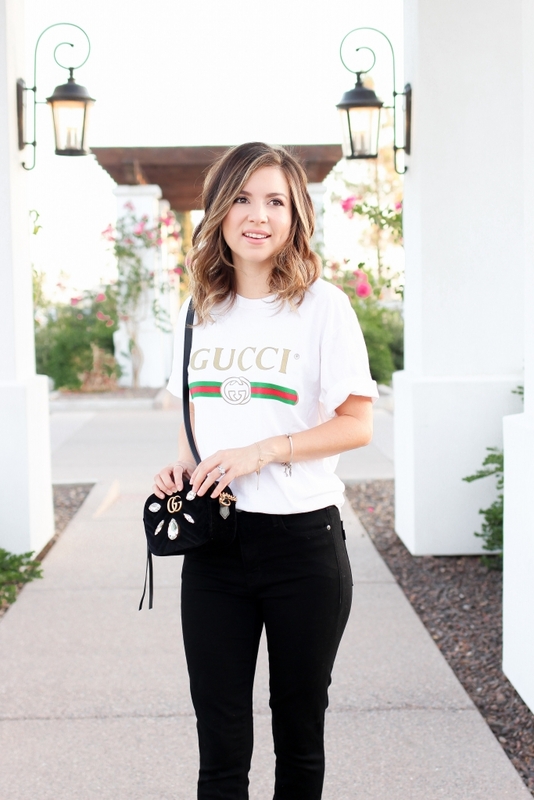 To style an oversized tee in a casual way I like to go with an everyday pair of jeans or shorts. In this case I went with black jeans. You can opt to tuck in the shirt completely or can just tuck in the front. When it comes to footwear opt for a pair of heels to add a dash of chic. If you really want to make that tee pop I say go with a fun print like leopard! For a more casual look swap out the heels for sneaks or flats. 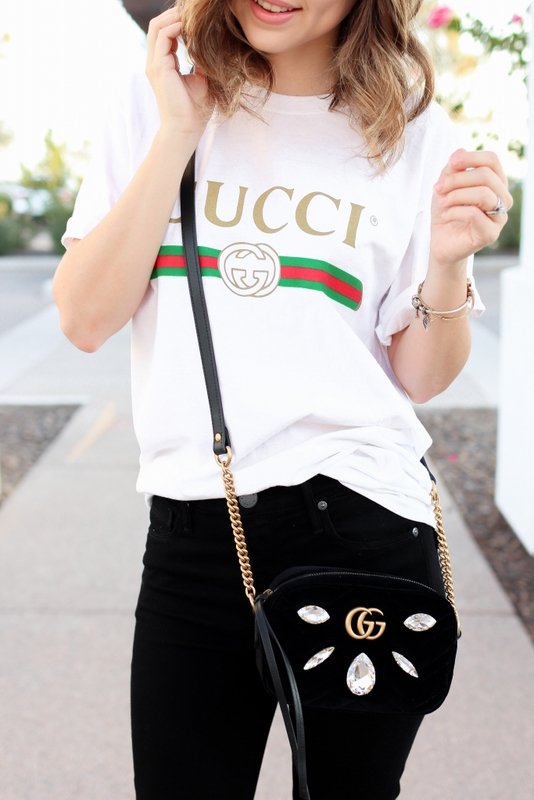 How do you all love styling your oversized t-shirts? Thank you all for wishing my pup a Happy Birthday! I cant believe he is 9 years old! He is such a grump but I love him! Have a lovely Wednesday!